This stitch definitely looks much better with a border - I used a Seed Stitch border on the sample, but I think a Garter Stitch border may look better. Maybe an eyelet border would be nice. Whatever suits your taste. 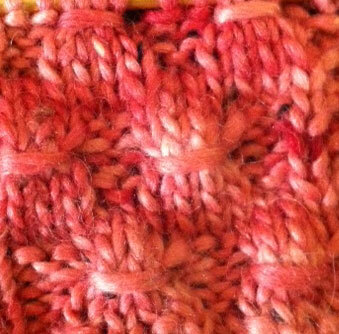 To make the Wrap: Insert right needle between the 4th and 5th stitches on left needle. 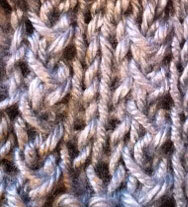 Pull yarn through between stitches. 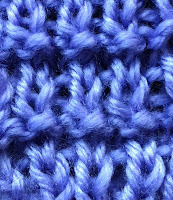 Knit 4, then pick up the loop from right needle with left needle and pass it over the 4 stitches just knit. It may take some practice to get the tension on the loop just right. Too long, and the wrap will be loose. Not long enough, and the wrap will be too tight. It isn't as hard as it sounds - the video below shows how the wrap is made. 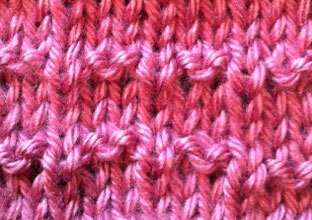 This stitch pattern is short and sweet, and produces a nice textured fabric. 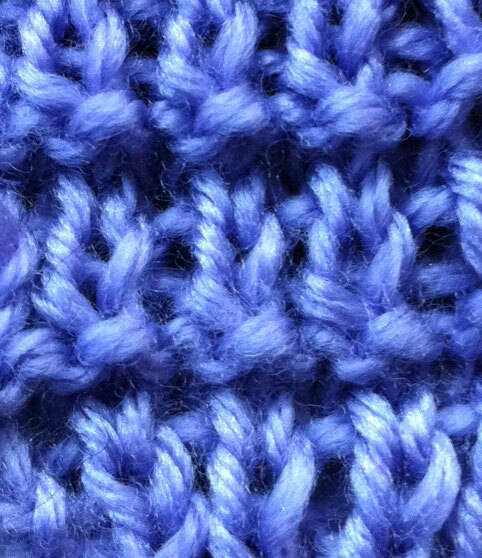 The edges are pretty sloppy, so I recommend adding an extra stitch (at the minimum) on each side to neaten it up. Personally, I would add a seed stitch border, about 3-4 stitches on each side in addition to a few seed stitch rows at the top and bottom, which is my go-to method of preventing sloppy edges. 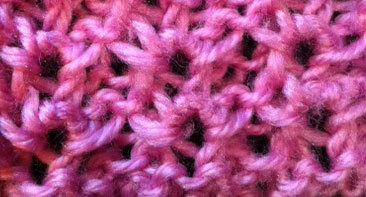 Depends on your taste and what you plan to use the stitch for, of course!